The editorial board accepts English articles (American or British English is allowed), which correspond to the professional profile of the magazine. All received papers are peer-reviewed while maintaining anonymous two-sided approach. Articles that do not meet author guidelines can be returned to the authors before the review process even begins. Articles accepted in the review process must be the original work of the author and may not be published earlier or not be in the review process of another journal. Each contribution must meet certain content and formal requirements (see General Information). Contributions are sent to the Editor’s Office in electronic form by email to the address of the main editor (martin.nosek@ujep.cz) or by using this form. Two files must be part of the email; filled in (1) Manuscript Submission form* and a (2) Manuscript file. If the manuscript includes tables/figures, include them as an attachment. The manuscript text must have the prescribed range, the number of literary references, and it must be in English (see Table 1). Larger parts of the text, which were copied from another text, must be supported by the consent of author and publisher of the original publication. Discussion – Please emphasize the new and important aspects of the research and conclusions derived from the study. Conclusion – Clear and only pertaining to the discussed research. Review article may have a looser form, the emphasis is placed on its clarity and relevance. Introduction – Previous research and/or rationale for performing the study. Aim of the study – Aim of the study, hypotheses/propositions to be tested. Material and Methods – Define the research sample, procedure, and instruments that were used in order to complete the study. Results – Briefly describe the most important results of the study. Conclusion – Limitations of the study, implications of the results, and further work. We recommend using our template to modify the manuscript according to the above formatting. The journal Journal of Outdoor Activities is based on the APA publishing style – Publication Manual of the American Psychological Association, 6th edition, published in 2010. Charts, diagrams, tables, formulas or pictures must always be sent as separate documents in the original format. They should be referenced in the appropriate places of the text. Four tables and four pictures can be a part of the manuscript (total 8). Sample table (can be used as a template). Pictures must be in one of the following formats: PNG, TIFF, EPS, AI. We emphasize the high resolution of images and 300 DPI. All images must be referenced in the text, numbered (Figure 1, Figure 2, etc) and have a descriptive caption. The magazine is printed in black and white, therefore do not rely on the color distinction in charts and distinguish in them with different shades of grey. 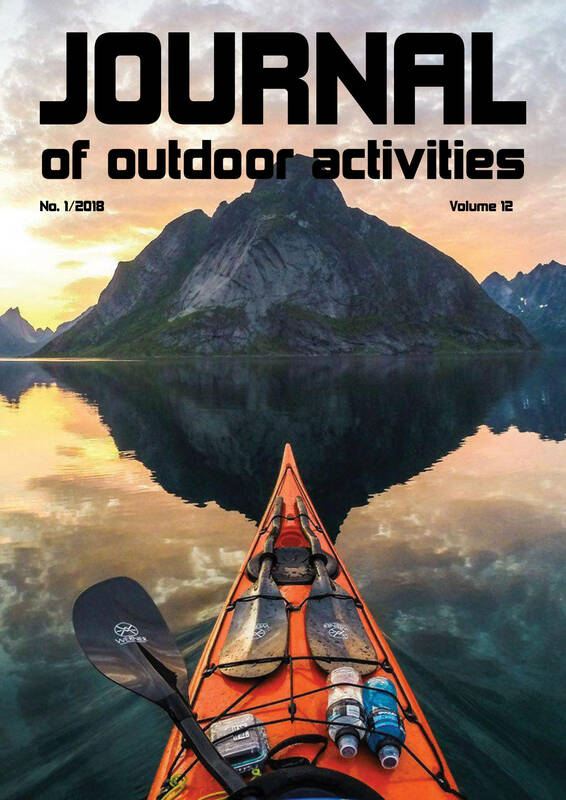 © 2018 JOA: Journal of Outdoor Activities. All rights reserved.